As people age into their golden years, living alone becomes increasingly difficult. Certain daily activities are more physically taxing than they used to be and even personal hygiene can become a challenge. Most adults who reach this point want to maintain some level of independence, but understand that they need assistance in their daily lives. Home health care services offer senior citizens the assistance they need on a daily basis to help them continue to live in their own homes. Home care has become the preferred care method for senior citizens who want to continue to live an independent life in their homes. Families usually deal with home health care in one of three different ways. Some families may have a family member that acts as the caregiver, some may hire a caregiver directly, and some may find a caregiver from a home care agency. Assisting Hands Home Care is a home health care agency in Park Ridge, IL that provides a wide range of in-home and elderly care services for senior citizens and individuals with disabilities. Our caregivers are bonded and insured to provide effective in-home care, and they go through extensive screening to ensure that we hire caregivers who exhibit patience and compassion. Care Management: We can coordinate a care schedule between our caregivers and other healthcare providers or family caregivers. Our caregivers will remind the client to take their medication and do any exercises assigned to them by a doctor. Personal Assistance: We can provide assistance with personal activities such as bathing, dressing, restroom use, incontinence, and other areas of personal hygiene. Meal Preparation: Our caregivers will help prepare meals and provide feeding assistance if needed. Errands and Transportation: We can take clients to doctor’s appointments, religious ceremonies, and family gatherings as well as handle errands like grocery shopping. Light Housekeeping: We will help clean and organize the home with housekeeping tasks including kitchen and bathroom cleaning and laundry. Companionship: At Assisting Hands Home Care, we take pride in not only providing excellent care, but companionship as well. Our caregivers socialize with our clients and develop personal relationships. Alzheimer’s and Dementia Care: Our caregivers are trained to provide care for clients with Alzheimer’s or dementia that includes memory exercises. Respite Care: We can work with family caregivers to give them a break with scheduled respite care services. Assisting Hands Home Care can provide assistance in the privacy of their own home for you or a loved one. Our caregivers are trained and experienced in providing in-home elderly care. They have successfully passed extensive background checks, as well as being insured, bonded, and trained in CPR and First Aid. 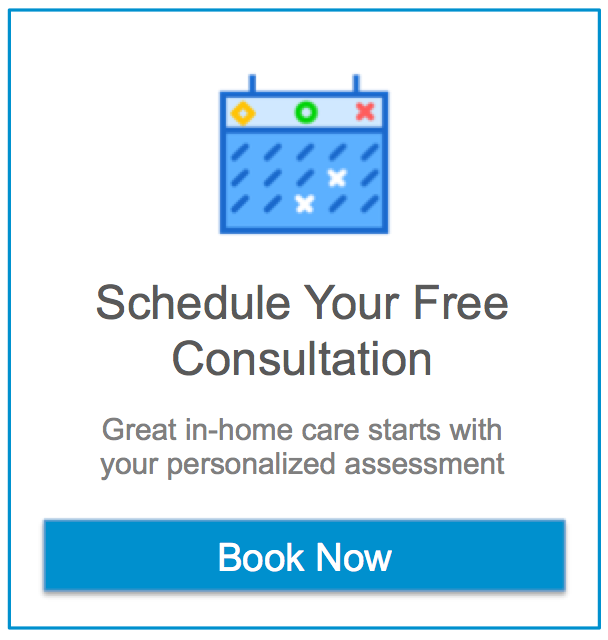 Our home care service plans are individualized to meet your needs. We assist with day-to-day activities. Assisting Hands Home Care will help you select the best matched caregiver from its pre-screened group of available assistants and can have qualified help placed in your home generally within 48 hours or less of the initial call. Call us at (224) 444-6422.